Bargain Book News is the only eZine that covers, not only important information in the book industry, but also all the news in the book aftermarket, including trade shows, overstock and remainder product and more! Beginning in 2018, The Southern Independent Booksellers Alliance (SIBA) Discovery Show will share the roof with the national Great American Bargain Book Show (GABBS) and international AmericasMart Atlanta (MART) in March in Atlanta. The new partnership is the result of several years of collaboration and brainstorming for ways to better serve the needs of each show’s target audiences in a rapidly changing market while sharing the costs for developing new programming. 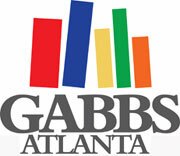 “We are more than excited,” said Larry May, owner of The Great American Bargain Book Show (GABBS), “SIBA’s decision to join efforts with us and move the SIBA show from its traditional Fall venue to a Spring venue will be a boon to all involved.” The combined shows will be housed in AmericasMart in downtown Atlanta, GA.
“Wanda Jewell, executive director of SIBA, and I have been talking about this for years and the timing just seems right to make the move,” May explained. This accomplishes several things,” continued May. “It is taking two decent shows and making a bigger show. SIBA’s strong established attendance, combined with GABB’s bargain book buyers and AmericasMart store and gift buyers will put Exhibitors’ product in front of a much larger attendee and customer base,” said May. SIBA will meet in the Fall both this year (September 16-18) and next year and will join GABBS in the Spring of 2018 at AmericasMart in Atlanta. 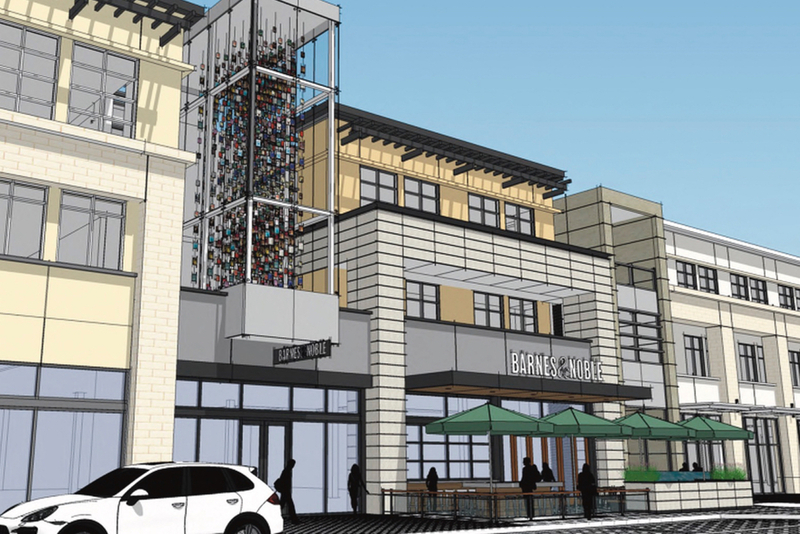 "I’m so excited to move SIBA in this way and to partner with these folks. My mind is abuzz with all of the opportunities this move opens up for us. And in sharing the costs with GABBS, it frees up dollars for more immersive education and professional speakers in addition to our seasoned industry contributors,” says SIBA’s Executive Director, Wanda Jewell. The organizations recognize there will be adjustments for members, exhibitors, and attendees during the transition from a September show in New Orleans in 2017 to a March show in Atlanta in 2018. Both SIBA and partner GABBS are committed to assisting booksellers and exhibitors in making that transition. The dates for the 2018 March show will be announced in early 2017. 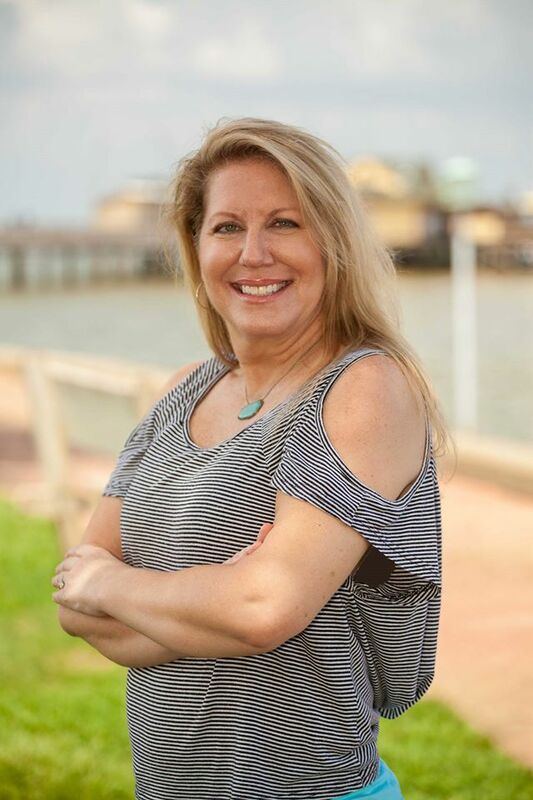 The Discovery Show will focus on bringing top bestselling authors to the South, providing easy access to gifts and bargain books, and creating opportunities for stores to increase profit margins. SIBA’s core members will enjoy a vibrant literary city that is centrally located and an easy flight or drive from all corners of SIBA’s territory. Exhibitors will enjoy access to GABBS & MART attendees in addition to all of SIBA’s regulars. SIBA will have access to booksellers across the nation who attend GABBS and will increase the vitality of SIBA’s education. Being off-season from the other shows will allow for publishers and exhibitors to focus on the SIBA show and SIBA booksellers. SIBA booksellers will have the opportunity to plan for the year, seeing both what is currently available and what is forthcoming, not to mention the opportunity for gift buying for summer, fall & winter that will be possible. Perhaps most importantly for the region, Southern football will no longer prevent many bookseller members from attending the SIBA Discovery Show. SIBA’s core booksellers will be able to count on SIBA to deliver quality education, top-notch author events, plus the incentives and scholarships to attend the 2018 SIBA Discovery Show that are always available. Exhibitors will be have the option to participate in a one-day or two-day exhibit, will have access to attendees outside of SIBA, and will enjoy a more vibrant show floor. Admission to the SIBA Discovery Show will include admission to the MART and GABBS. AL.com explored "the small and intriguing club of independent booksellers who turn the page into politics," including newly elected Fairhope, Ala., Mayor Karin Wilson of Page & Palette in Fairhope, Ala.; Richard Howorth of Square Books in Oxford, Miss. ; David Gronbach of Bank Street Book Nook in New Milford, Conn.; Neal Coonerty of Bookshop Santa Cruz in Santa Cruz, Calif.; Tim Lowry of Lowry's Books in Three Rivers, Mich.; and Eric Papenfuse of Midtown Scholar bookstore in Harrisburg, Pa.
"Karin is following, if not a well-worn path, certainly a path others have pioneered," said Oren Teicher, CEO of the American Booksellers Association. "Successful booksellers are intimately involved in their communities because that is how they succeed.... It's a logical extension.... Most booksellers take an enormous pride of their knowledge about books. But I think people have things to contribute to their community because of their experience as business people. Part of what comes as second nature is being exposed to every conceivable idea on the planet because of the books you put on your shelves." Page & Palette is a model for others to emulate, according to Teicher: "You have a perfect example of a store that is innovative, creative and keeps reinventing themselves. And they remain heavily engaged into the life of the community they are in." Read On! Despite competition from an ever-increasing menu of entertainment choices now available to Americans, book readership in America is holding steady, according to a new survey. And most of the book readers surveyed, the report found, prefer to read print books. The report “Book Readership 2016,” released this week by the Pew Research Center found, that 73% of Americans have read a book in the last year, largely unchanged from 2012 levels (although lower than the 79% recorded in 2011, when Pew began tracking reading habits). Read On! After a year of slipping sales and smaller lines, the comics industry was in a more upbeat mood for the 2016 Diamond Retailer Summit, held Aug. 31-Sept.2 in Baltimore by Diamond Comic Distributors, the main distributor for periodical comics and traditional comics publishers. With a lively exhibit hall–Teenage Mutant Ninja Turtles co-creator Kevin Eastman was a star attraction–and an improved slate of panels, the event drew over 400 attendees and 200 retail shops. While sales have yet to fully recover from a shaky start this year–overall sales are down 2.2%–graphic novels are up 2.4%. Additionally, Diamond’s customer count is up 3.6%. Read On! Rodale Books has announced plans to launch Rodale Kids, a new imprint that will publish a variety of fiction and nonfiction titles geared to infants, children, and teens. The new imprint will release its first 10 titles in fall 2017, with plans to eventually publish 30–45 titles per year. 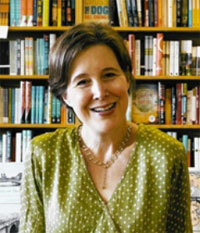 The books will be distributed by Macmillan, Rodale’s longtime distribution partner. Rodale Kids will be headed by Rodale v-p and publisher Gail Gonzales, along with Eric Wight, Rodale’s creative and editorial director of children’s media. Read On! "If somebody said, OK, you can either write five more great novels, or you can make sure that the people who work in bookstores have health insurance and have some place to go if they need help because they're broke. At this point I might really go for the good. Nothing fuels the good of the world like happiness, and the thing that makes me feel really alive is figuring out how I can frighten other people into doing good." --Ann Patchett, author most recently of Commonwealth and co-owner of Parnassus Books, Nashville, Tenn.Read on in Guardian interview. The dates and place for the Great American Bargain Book Show, GABBS2017, will be in Atlanta, GA at the AmericasMart on Wednesday and Thursday, March 8 and 9. This year the show will be a full, two day show instead of 2 ½ days. “Our decision to stay at the Mart came after much thought and discussion regarding dates, times, places and proximity to other trade shows. After having gone through this process, we have concluded that Atlanta at AmericasMart with SIBA’s participation, in March, is the best time and place for the show right now and the immediate future,” said GABBS Owner Larry May. AmericasMart, along with the Southern Independent Booksellers Alliance (SIBA) partnership, has provided the Great American Bargain Book Show with a solid, stable base of attendees, which GABBS will continue to build on in the coming years. May noted that they are well aware of the Show’s proximity to the London Book Fair and will work diligently to accommodate those Exhibitors and Attendees who are planning to attend both events. The GABBS show lay-out, which will be slightly changed this year, and table pricing, will be available late August. SIBA will be hosting its SIBA in the Springtime (SITS) the day before GABBS opens. There will be a full day of educational seminars for booksellers and more information will be forthcoming this Fall. Check here for Regional Show updates. "Your Freight is Our Reputation." Buy a 'boat load' in time for the launch of the new movie"In the Heart of the Sea" based on the book! 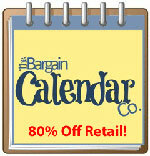 Looking for some beautiful 2014 overstock calendars to sell? Visit BigBooksTinyVoices to find out the latest in YA Fiction. See what's the latest in books to movies news!